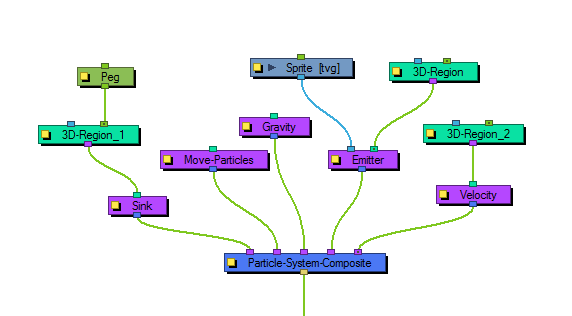 This module will cause the particles to disappear when outside of the region plugged into the sink. It can also be inverted, so that the particles disappear when they enter the region instead. 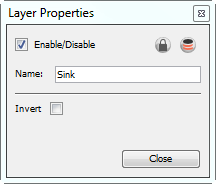 Use the Sink Module's Layer Properties panel to adjust the effect's parameters. • Invert: The default behaviour of the sink is for particles to disappear when they depart the region. When inverted, the particles disappear when they enter the region instead.